An arresting collection of contemporary fiction at its best, these stories explore a vast range of subjects, from love and deception to war and the insidious power of class distinctions. However clearly spoken, in voices sophisticated, cunning, or na•ve, here is fiction that consistently defies our expectations. 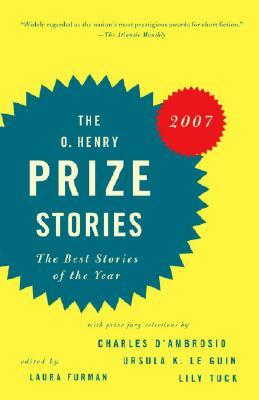 Selected from thousands of stories in hundreds of literary magazines, the twenty prize-winning stories are accompanied by essays from each of the three eminent jurors on which stories they judged the best, and observations from all twenty prizewinners on what inspired them. Laura Furman's work has appeared in The New Yorker, Vanity Fair, Ploughshares, The Yale Review, and other magazines. She is the founding editor of the highly regarded American Short Fiction (threetime finalist for the American Magazine Award). A professor of English at the University of Texas at Austin, she teaches in the graduate James A. Michener Center for writers. She lives in Austin. Ursula LeGuin is the author of The Left Hand of Darkness. She lives in Portland, Oregon. Charles D'Ambrosio is the author of The Dead Fish Museum. He lives in Portland, Oregon. Lily Tuck's most recent work is The News from Paraguay, which won the National Book Award . She lives in New York City and Maine.